Last week, the Lenovo Data Center Group announced that it was expanding its ThinkAgile portfolio to provide an innovative solution for customers who desire the agility of the public cloud and the security of a private cloud. The ThinkAgile CP Series composable cloud platform (think, 'cloud-in-a-box'), developed by Cloudistics and Lenovo, offers all of the conveniences and ease-of-use of a public cloud environment secured behind the customer's own data center firewall. 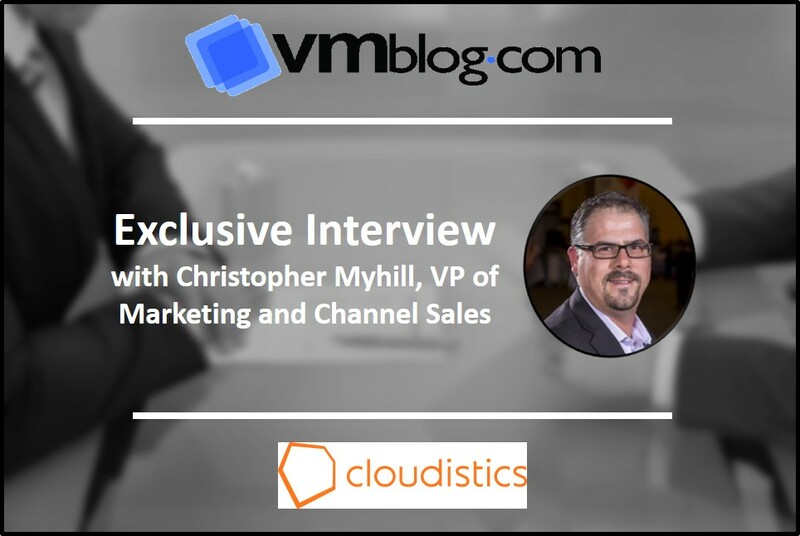 To better understand and find out more, VMblog spoke with an expert on the subject, Christopher Myhill, VP of marketing and channel sales at Cloudistics. VMblog: What are the primary challenges and risks associated with public cloud adoption? Loss of control is the biggest limitation of public cloud. It's no small thing for an enterprise to cede control over its workloads to an outside entity, rendering it powerless to control performance, data location, shadow IT, IT sprawl, and costs. It also introduces risks to regulatory compliance and data security, and the threat of unexpected outages. VMblog: Why not just opt for a hybrid cloud using Open Source or OpenStack private cloud architecture for the on-premises portion? There are several reasons this isn't always the go-to option one might think it would be. For starters, hybrid cloud introduces a new layer of complexity to the IT department. The enterprise now has two different sets of technology requiring two different skill sets and obliging it to either upskill its staff or hire additional, often scarce and expensive, skills from a ferociously competitive marketplace. Next, there's no such thing as a free lunch. In an open source private cloud you typically see a lot of disparate management tools and hardware, which forces IT to buy into third-party toolkits simply in order to achieve the most basic functionality. Finally, when all seems lost and you throw up your hands and buy a commercially built cloud appliance, you find yourself forced into choosing an "IT religion." That's because most appliances based on an "open" architecture still comprise restrictive clustered resources managed by automation tools that are tied into a particular religion like VMware. Now, because your cloud setup wasn't complicated enough, these also require special certification, and tribal or community knowledge. Additionally, your new religion now determines whether or not you're able to orchestrate secure application resources on-demand and maintain the necessary patches and updates without disrupting application performance and business operations. You might liken owning these appliances to buying a luxury sports car. You're now part of an elite club with status and privilege, but only a specially certified mechanic can change the oil and tune the performance while you wait, and all you ever wanted to do was drive-fast and avoid being taken to the cleaners for a simple oil change. Just so we're 100 percent clear on this - open source private clouds are hard to set up, grow, and maintain, not easy. Nothing about open source private clouds is easy. VMblog: Sell me on the ThinkAgile CP Series. What makes it "all that?" ThinkAgile CP offers an all-in-all, automated, composable private cloud that is so simple that even an IT generalist can manage it - let the significance of that sink in for a minute - so agile that workloads can be launched in a matter of seconds, not minutes, not hours, and certainly not days. Throw in the application marketplace with its pre-validated templates, self-service, and ability to dynamically assemble and orchestrate the virtual resources needed for each application, and it's clear that we're talking about an offering here that is transformative in its ability to unlock unprecedented potential for organizations of all sizes. VMblog: With any on-premises component comes the need to upgrade hardware resources at some point. What, if anything does this product do to ease that pain? Primarily it prevents the underutilization of existing resources and the over-purchasing of new resources, because instead of manual configuration, the platform identifies any available hardware automatically and adds it to the pool of available resources. All hardware components of the platform are moreover designed from the ground up to interoperate, are supported by one organization, and don't come pre-loaded with support problems caused by incompatibility. Unlike hyperconverged hardware, organizations can just buy storage, or compute, or networking - they don't have to purchase unnecessary capacity. The ThinkAgile CP Series uses independently scalable overlay network, federated all-flash storage and "open source" KVM-based compute blocks so administrators can purchase and upgrade only what they need to, when they need to. Lenovo and Cloudistics have worked very closely together to pre-validate and engineer the hardware, marketplace templates, reporting meta-data, the platform "shirt size" configurations and the sales, engineering and support expertise necessary to assist customers with their current and future cloud application and service needs. VMblog: You mentioned something about the customer support angle and taking back control. Can you elaborate? In the public cloud you're at the mercy of an outside support team, for better or worse. This platform, on the other hand, has integrated support. With a single click, an admin can directly access a support engineer responsible for supporting hardware, software or applications. The platform also proactively performs non-disruptive updates and maintenance, relieving the enterprise IT team of that chore. Believe me, there's not an IT grunt in the world who won't be happy to see the back of the old days of manually updating drivers and praying the updates didn't break the system.